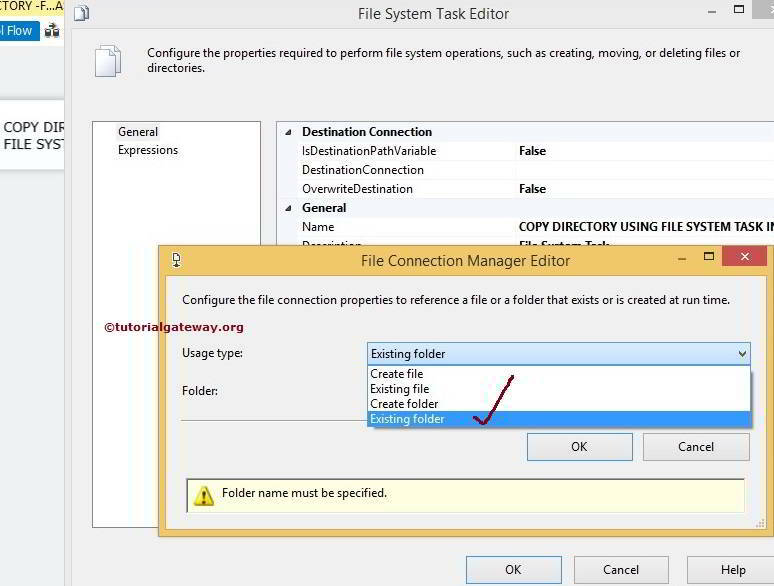 The File System Task in SSIS allows us to perform Ten types of Operations on Files and Folders. 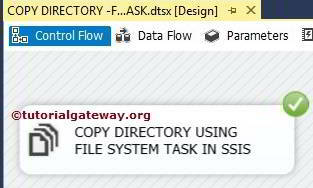 In this article We will show you, How to Copy Directory Using File System Task in SSIS from one location to another location with example. 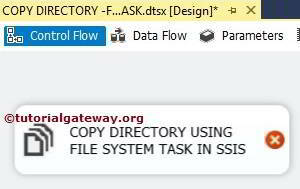 To Move the complete Directory, Please refer Move Directory Using File System Task article inside the SSIS page. 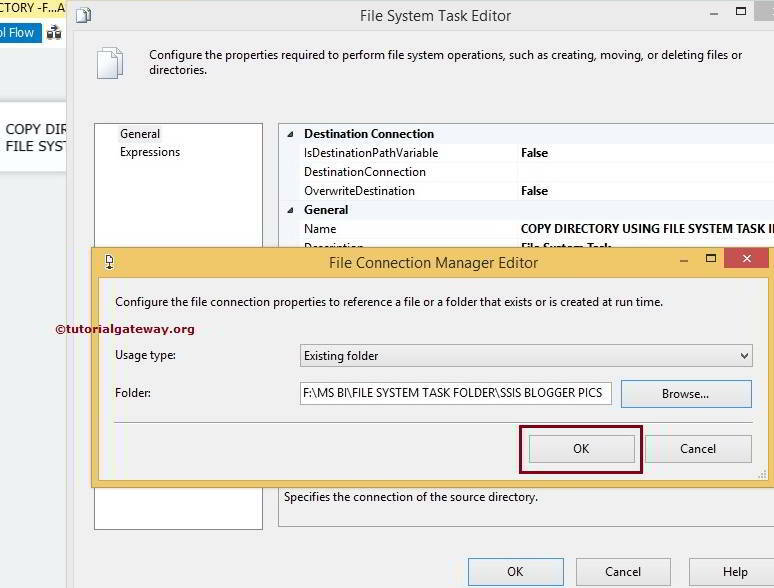 We have File System Task Folder inside the MSBI Folder. 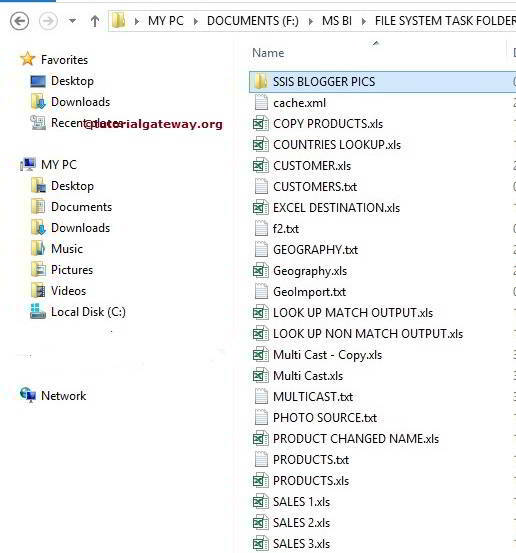 Below screenshot shows you the data inside that folder. 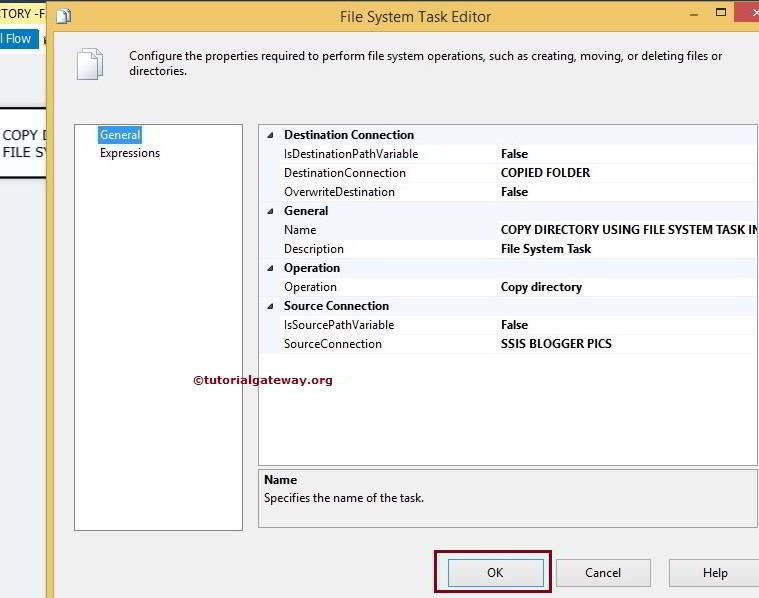 Our task is to Copy the SSIS Blogger pics folder inside the File System Task Folder to Copied Folder inside F Drive. 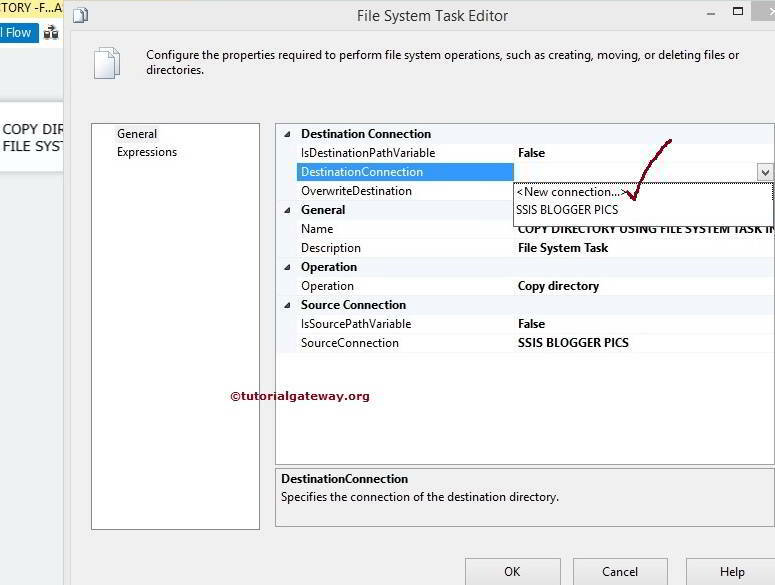 Click Ok to finish configuring the Source Connection. 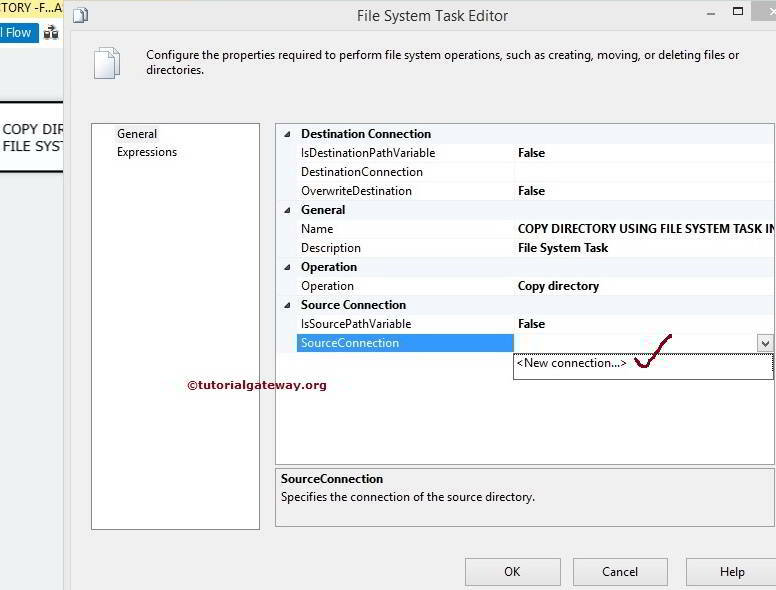 Once you click on the <New Connection..> option, File Connection Manager Editor will be opened to configure it. 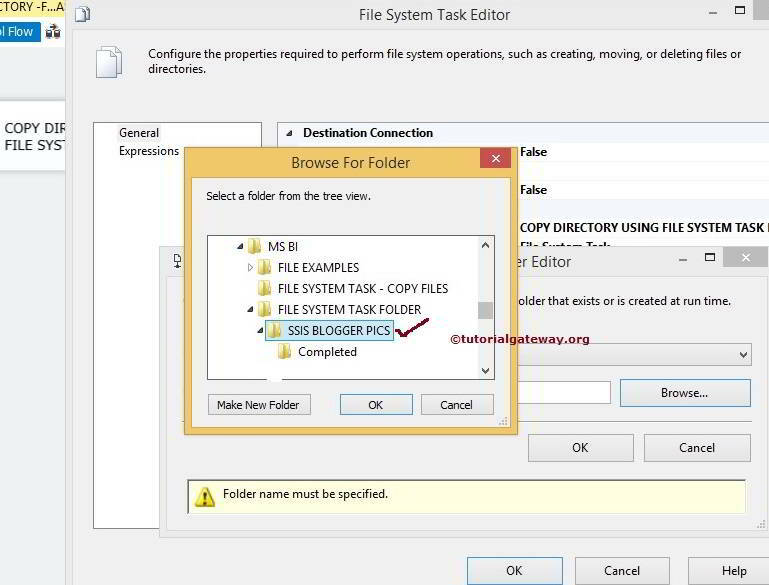 Click on the Browse button to select the Existing Folder. 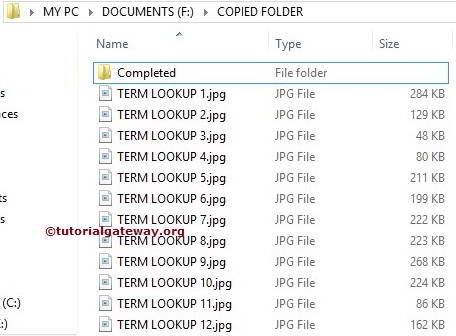 From the above the above screenshot you can observe that, We selected the Copied Folder by clicking the Ok button. 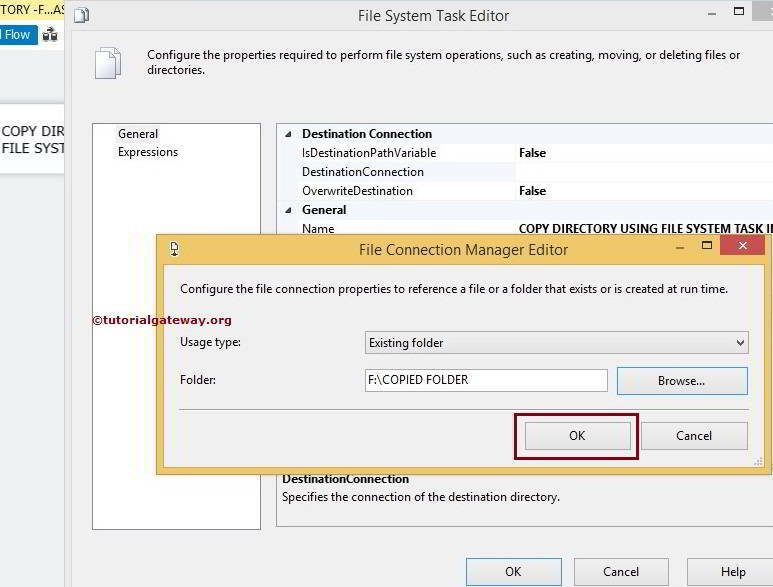 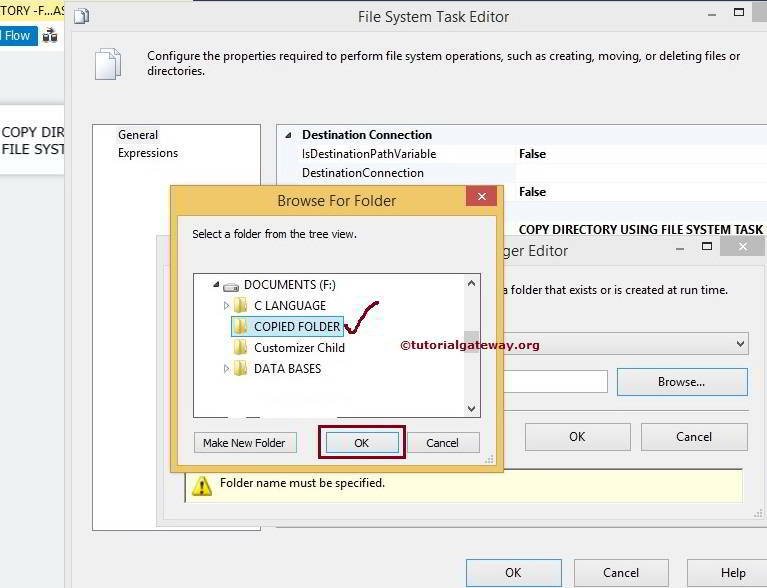 Click Ok to finish configuring Copy Directory Using File System Task in SSIS package. 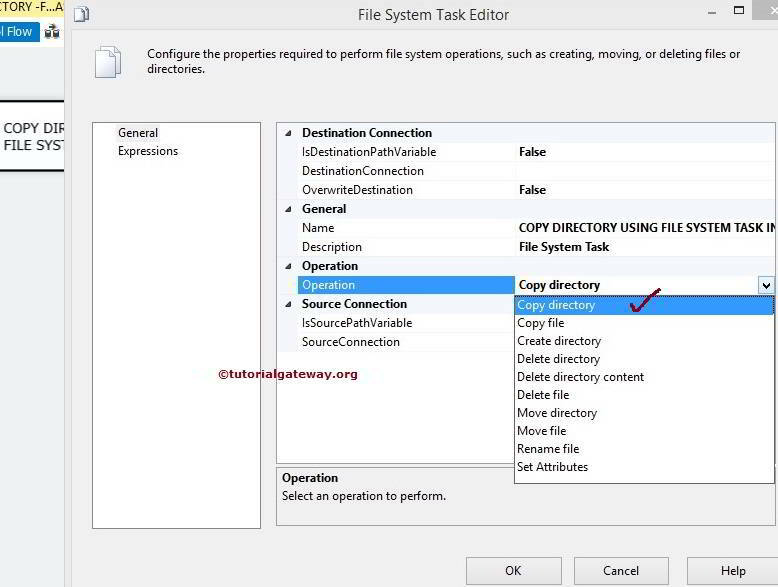 Let’s run and see whether we successfully Copied the Directory using the File System Task or Not.